If you are a fan of seasonal and cheap fragrance, then you find the absolute answer here. Nautica Voyage is the answer. Fresh, aquatic, and romantic scents will make you remember when you are young and energic. Nautica Voyage was released the first time in 2006. The fragrance finds its popularity through its quality and price. Nevertheless, Nautica Voyage brings us a real masculine aroma. 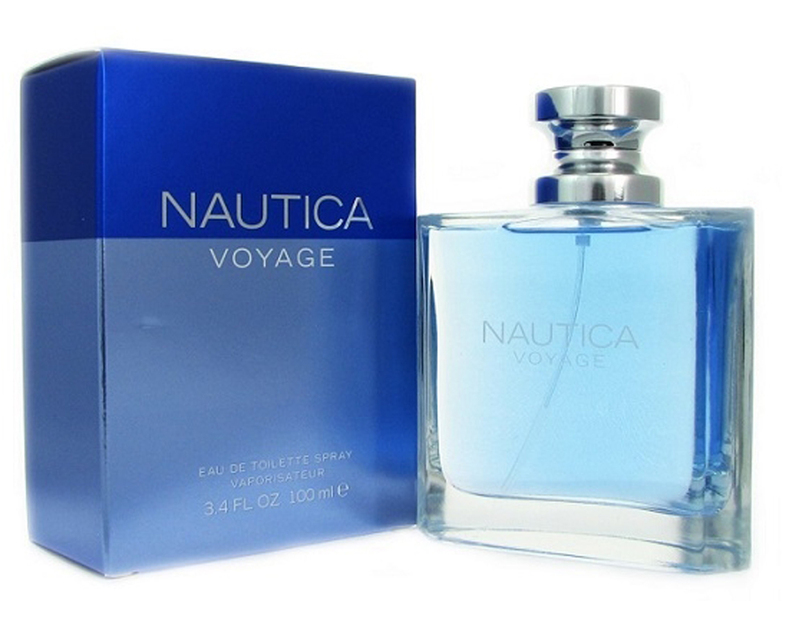 But rather than a 30-years-old man aroma, Nautica Voyage is more into the younger man aroma. Every time you use it, the sea breeze will overwhelm you along with some notes apple and green leaves. You may find it tempting when using it during summer. Are you interested with Nautica Voyage? Nautica is a well-known American label founded by David Chu in 1983. Nautica has long taken part in the fragrance industry. Designers of Nautica have produced up to 22 perfumes from 1992 including big names like Nautica Classic and Nautica Blue. Its main perfumers, Maurice Roucel, has come with the idea to sharpen his last invention. That idea is to bring a deep and masculine aroma more than the previous. Then Nautica Voyager comes as a new and improved version invented by Nautica. Even though it has a bad experience with its previous Nautica Classic and Nautica Blue, Nautica finally produce a great invention. Nautica Voyage can raise your confidence and make you feel comfortable when taking a daily walk. Feel free to use it when to going to a beach, gym, school, work, and any other daily basis. Even though it has a strong scent, it doesn’t make people uncomfortable at all. Don’t be the surprise if suddenly other people will complement and talk about your scent. By combining a green, floral, and aquatic aroma, it targets the young male consumers as its primary users. Nautica Voyage opens with a little bit of fruity and green top notes. The top notes consist of green leaves and apple. The middle notes are not far from freshness but also add some aquatic notes in it. The notes are constructed from mimosa and lotus. The last enhancements which deepen the green, woody quality are amber, musk, oakmoss, and cedar. Overall, Nautica Voyage delivers a fresh aquatic, woody, green, and some fruity moments. It feels fresh and clean to come out and take a daily walk. Daytime is most likely the best time to use this fragrance, as it will make you even more charming in daylight. It’s rare to find an everyday use perfume as best as Nautica Voyage. You can use it over and over again without worrying about the price. Even though the price is quite nice, but the longevity itself is remarkable as it will stand long enough and last for about 12 hours. The sillage is proved to be sharp, and your scents will be smelled by a lot of people. Check the best price for Nautica Voyage here!